Search and rescue crews on Mount Rainier successfully recovered the body of a climber on Wednesday who succumbed to hypothermia. Attempts to reach the climber at 10,600 feet were made since Monday after the man’s fellow climber had reached safety the day before, according to the Seattle Times. The two climbers, 59-year-old Arvid Lathi from Norway and 41-year-old Canadian Monique Richard, headed out last Thursday. When they did not return to their overnight gear on Saturday, fellow climbers put out a distress call. On Sunday, Richard descended to Camp Muir, a popular base camp, without her climbing partner and a horrific story to tell. She told rescuers the pair hunkered down in a snow cave and Lathi fell victim to the cold sometime in the night, according to a press release by the National Park Service. Richard was airlifted to a hospital, but when crews tried to reach Lathi, the winds were too strong for a safe landing. The unresponsive climber was eventually reached on Wednesday. “Despite the tragic events it is always a good reminder to know the weather forecast before any climb and come prepared for any and all weather conditions. 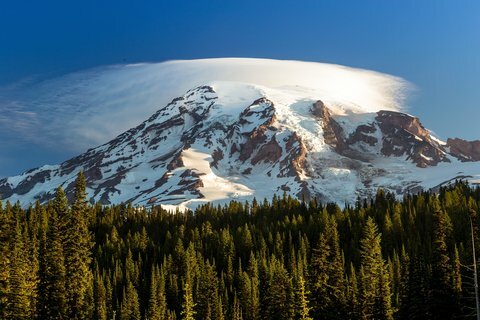 Sunny weather at the start of your trip may deteriorate quickly.” stated Peter Ellis, Mount Rainier National Park Climbing Ranger in the release.